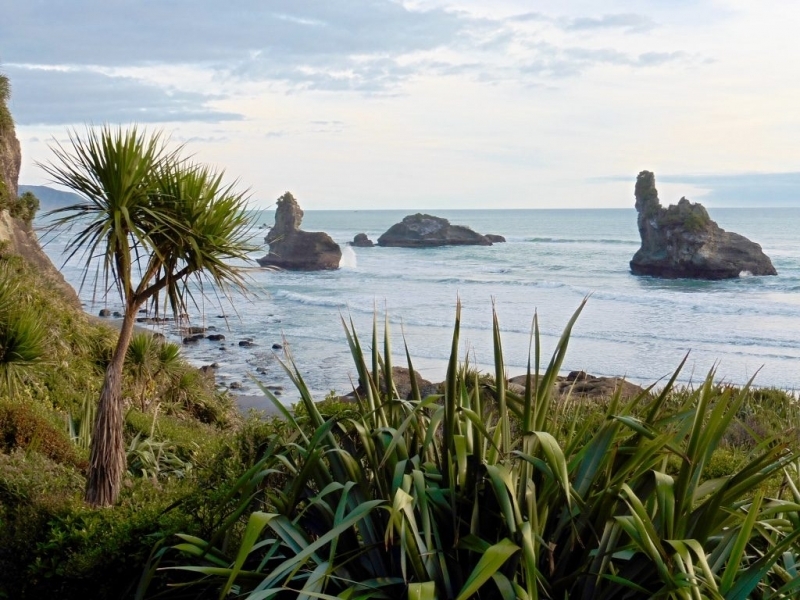 Motukiekie is a picturesque area on the Coast Road, halfway between Greymouth and Punakaiki on the West Coast. 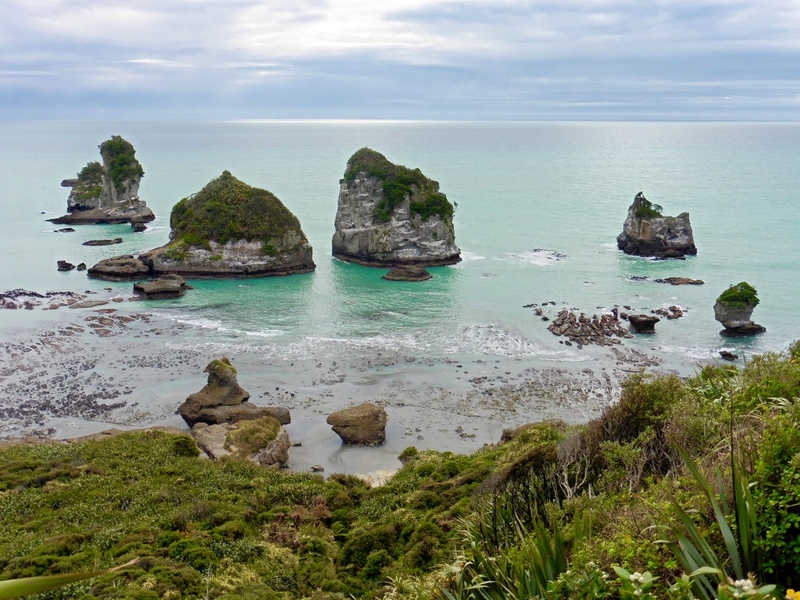 It is most well know for the Motukiekie Rocks, a group of iconic seastacks which have become a popular must-do shot for international photographers. 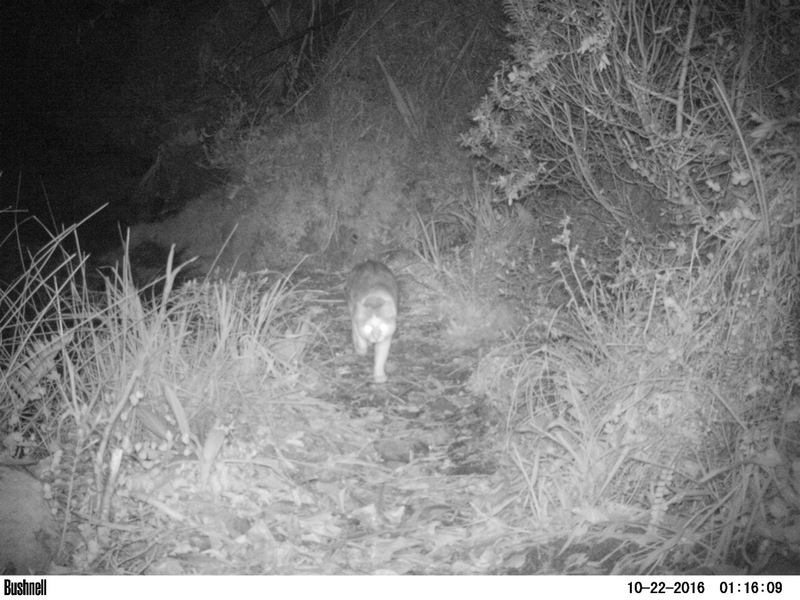 The Motukiekie Shakedown is a landscape predator management project that has been evolving since 2010, targetting rats, stoats, possums and feral cats. 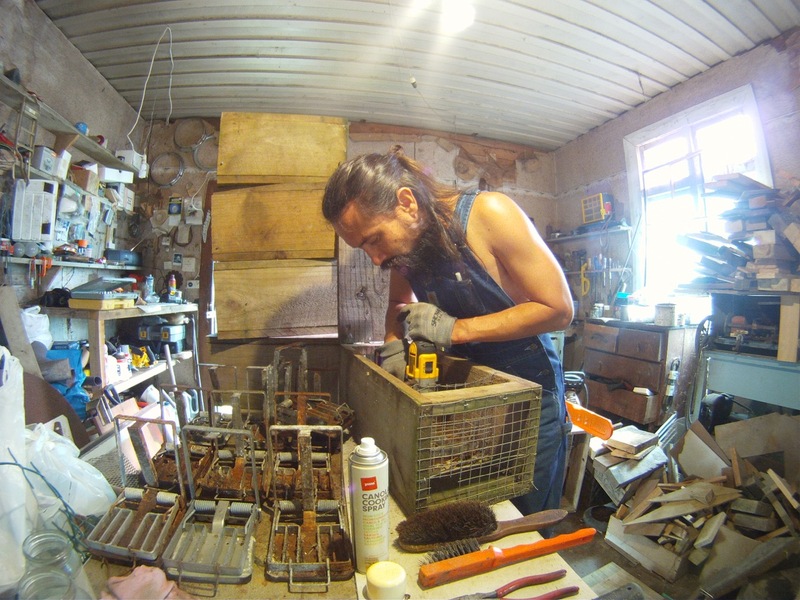 It started as a small backyard project by me, Leon Dalziel, and has since become an obsession, driven on by the success of witnessing the birdlife quickly rebounding. 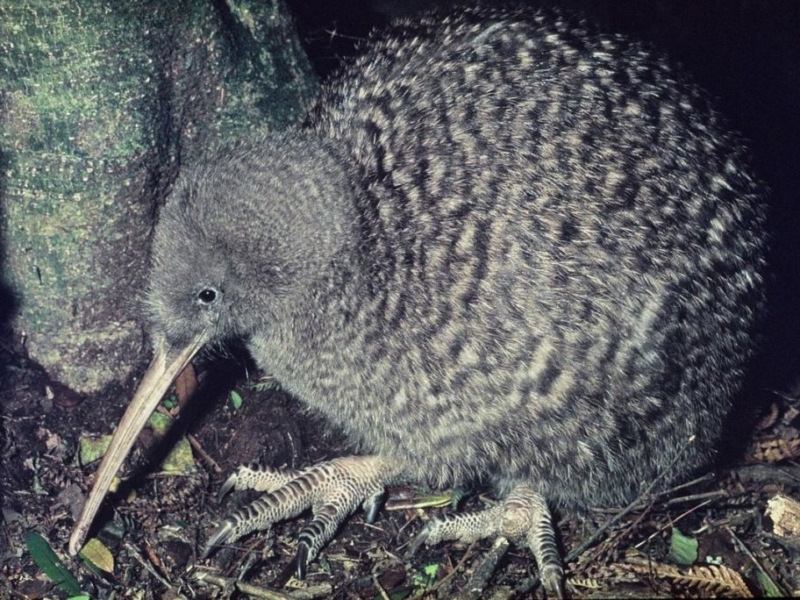 In 2016, great spotted kiwi probe holes were found within the managed area. Further exploration in the hills above has identified more kiwi, and found small numbers of yellow-crowned parakeet, New Zealand falcon, South Island robin, and most surprisingly, kea. 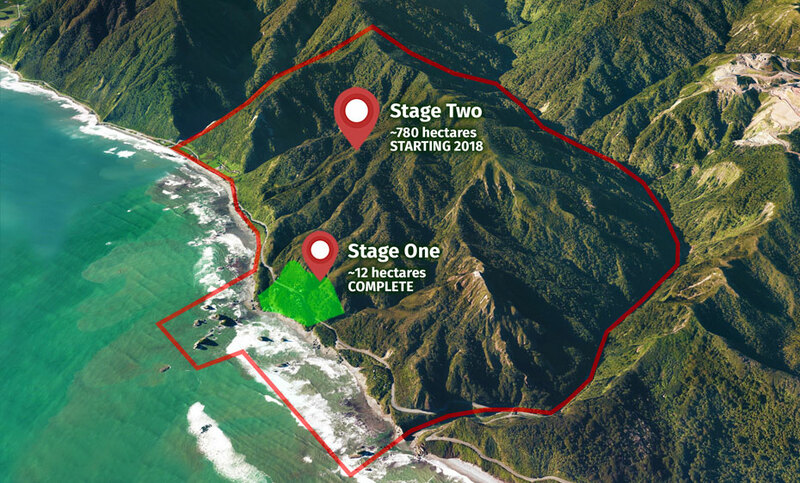 Stage One currently protects an area of ~12 hectares, and Stage Two will continue to expand to eventually protect an area of ~780 hectares in the southwestern Paparoa Ranges. 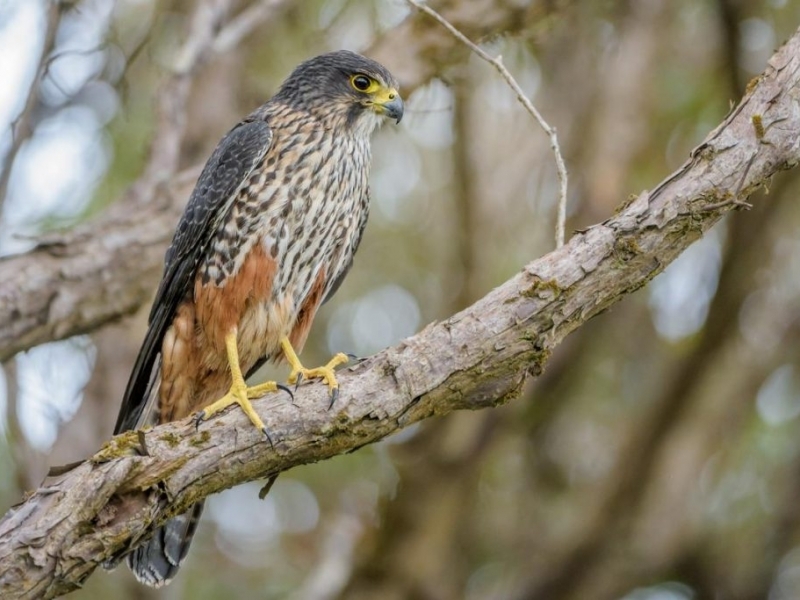 The rarer bird species (kea, yellow-crowned parakeet, New Zealand falcon, South Island robin) are only just holding on, limited to a small area above 250m altitude, due to heavy predation down lower. 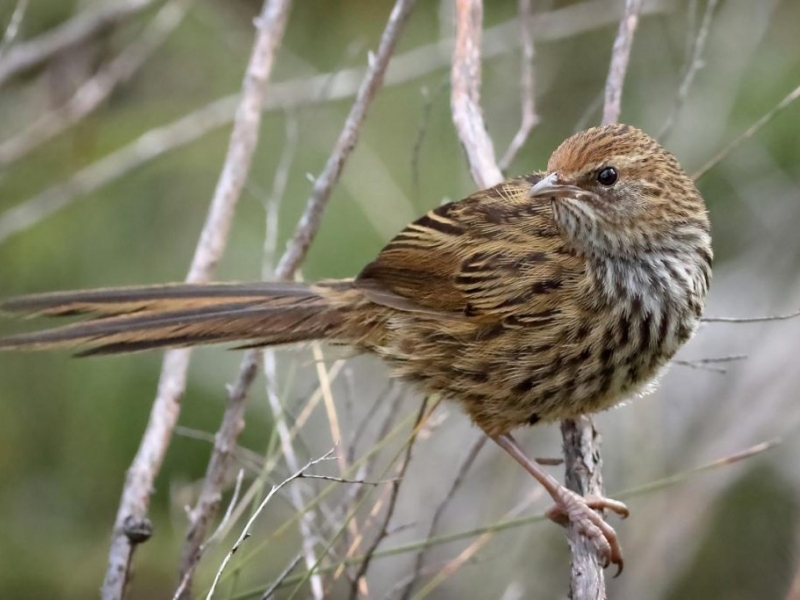 Conservation gains include the preservation of genetic diversity in the existing birdlife, maintaining and expanding their current distribution, and the future goal of meeting up with another large-scale predator management project reasonably close by. Opportunities exist for further investigation into bats, blue duck, kaka, invertebrates and various flora conservation, if their presence is found. The Motukiekie Shakedown will add to land already under predator management, particularly in respect to Predator Free 2050 goals. 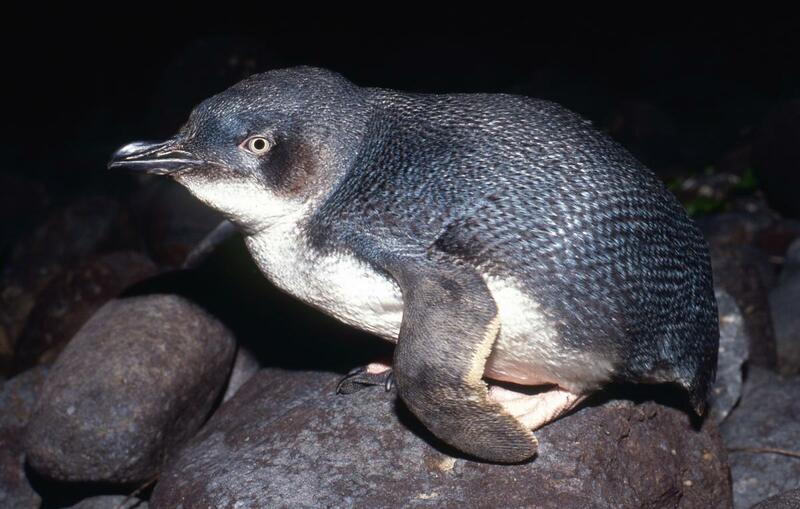 The project has the support of the West Coast Penguin Trust, Paparoa Wildlife Trust, and Te Runanga o Ngati Waewae. 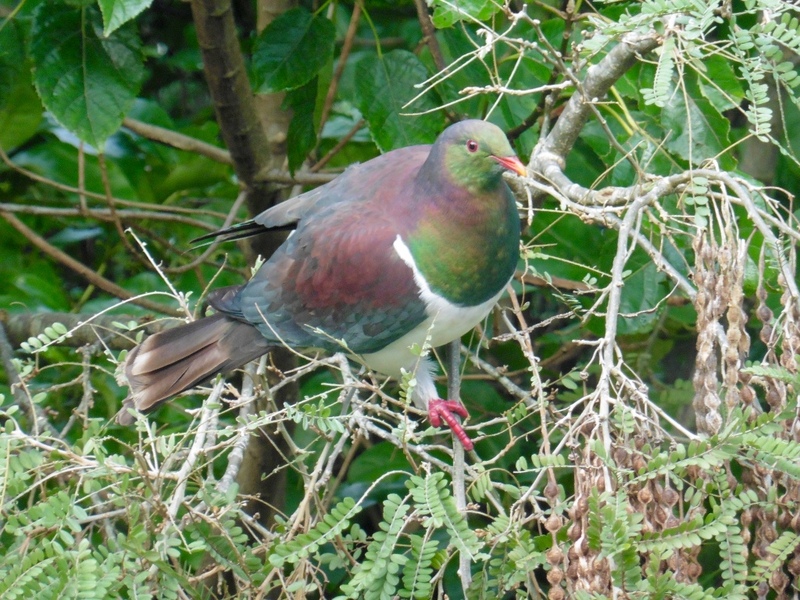 Local residents are nature orientated and very supportive, particularly at the thought of having kiwis in their backyards, and once again enjoying the dawn chorus. The Motukiekie Shakedown will also protect the offshore Motukiekie Rocks – probably the largest cluster of unmodified sea stacks and islands on the West Coast, and home to fairy prion, spotted shag, red billed gull, blue penguin, southern black-backed gull, variable oystercatcher, and other seabirds. 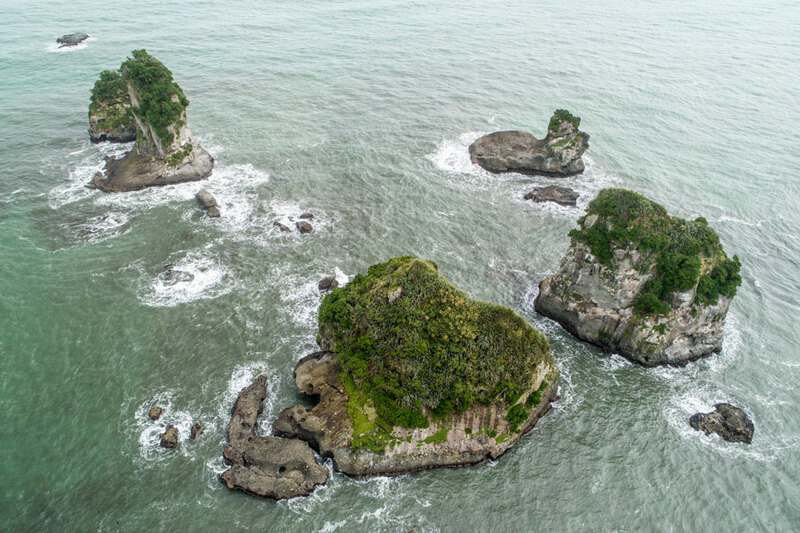 The Motukiekie Rocks lie directly offshore from the management area, and will be protected from rat and stoat invasion from the mainland. 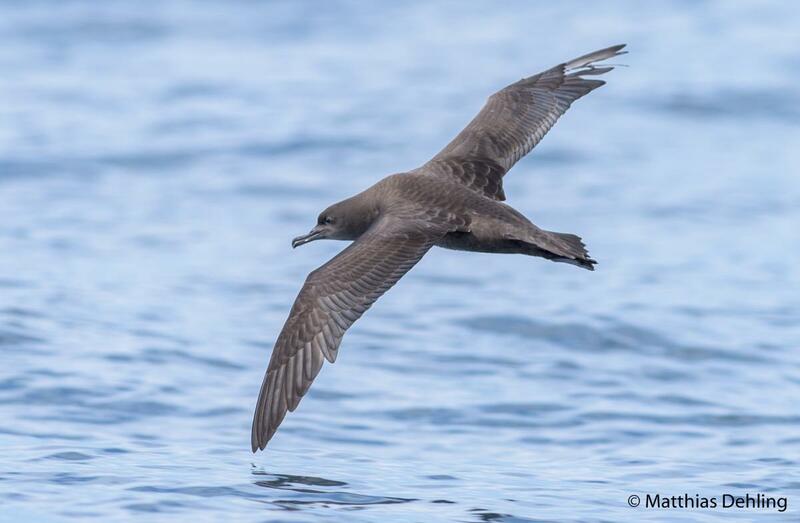 A survey in 1999 (D Neil) recorded seabird burrows on most of the eleven islands, with an estimated overall total of several hundred burrows. 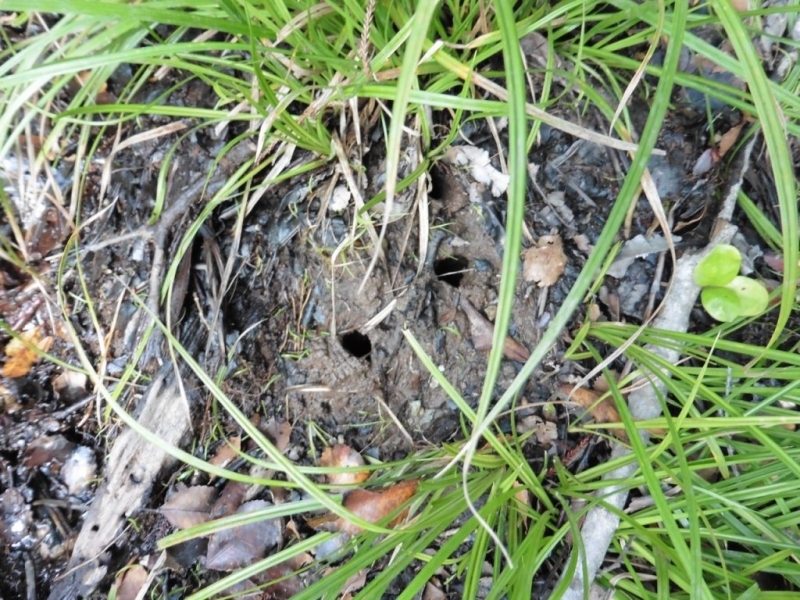 A fairy prion was found in a burrow, and it is likely that most or all of the burrows belong to this species. Evidence of tree weta was found on three islands. 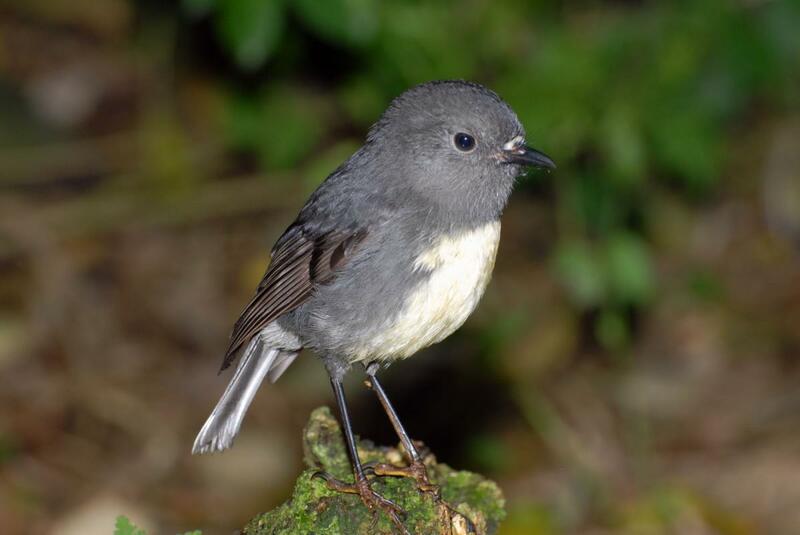 Great spotted kiwi, kea, bellbird, fantail, tui, weka, rifleman, fernbird, tomtit, New Zealand pigeon, yellow-crowned parakeet, New Zealand falcon, grey warbler, chaffinch, silvereye, blackbird, morepork, welcome swallow, Australasian harrier, South Island robin, shining cuckoo, house sparrow, song thrush. Blue penguin, spotted shag, red billed gull, fairy prion, sooty shearwater, southern black-backed gull, variable oystercatcher. 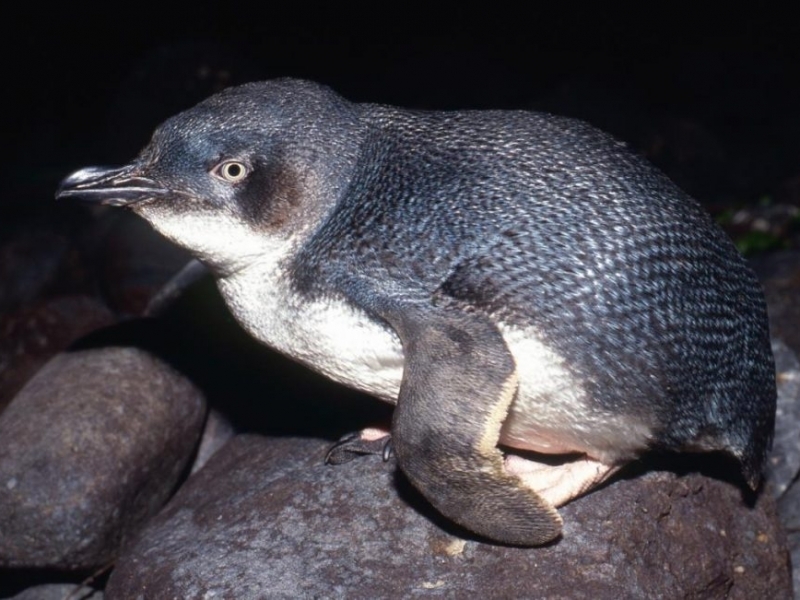 In October 2016, kiwi beak probe holes were found, some only 40 meters from the settlement, and kiwi calls were heard. 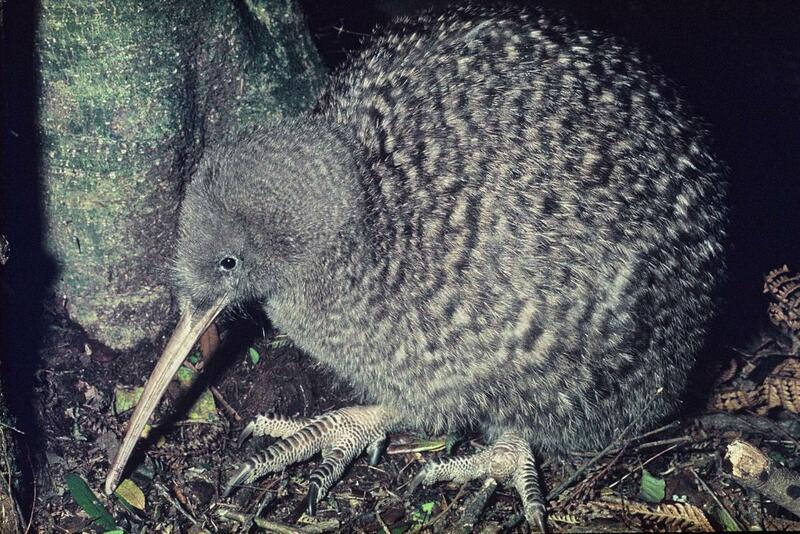 Subsequent monitoring has identified a number of kiwi pairs and lone individuals. This is very exciting news, especially after many years of anecdotal reports and speculation. Assuming a mean density of 1.5 pairs/km² (McLennan and McCann), there are potentially 12 pairs living within the management area. 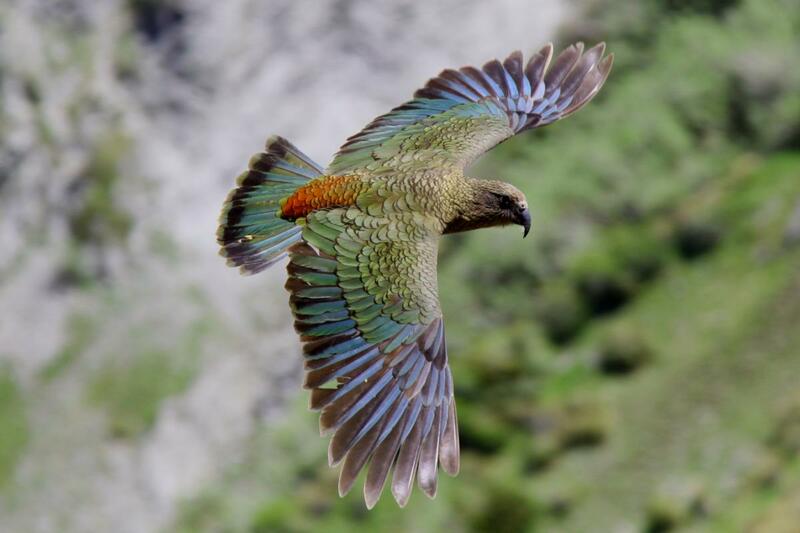 Kea are endemic to the Southern Alps of New Zealand and are the world’s only mountain parrot. With only a few thousand birds remaining, the kea is a Nationally Endangered species. Territories are extensive and can cover up to 4kms² (Jackson, 1969; Elliott & Kemp, 1999). 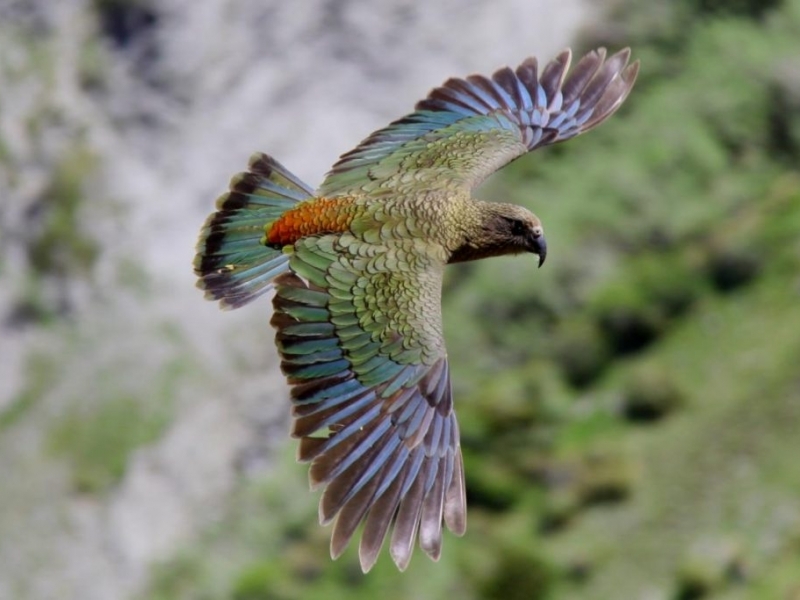 In January 2017, one kea was heard flying through the headwaters of Kararoa Creek. Antidotal reports from hunters and possum trappers of hearing kea regularly in the same area since 2014, are encouraging. In November 2017, a kea was observed close up sitting and calling on Mt George. In September 2018, a kea was seen flying and calling south of Mt George, southbound. Requires further investigation. Kaka are large, forest-dwelling parrots who can be found in a wide variety of native forest types including podocarp and beech forest. 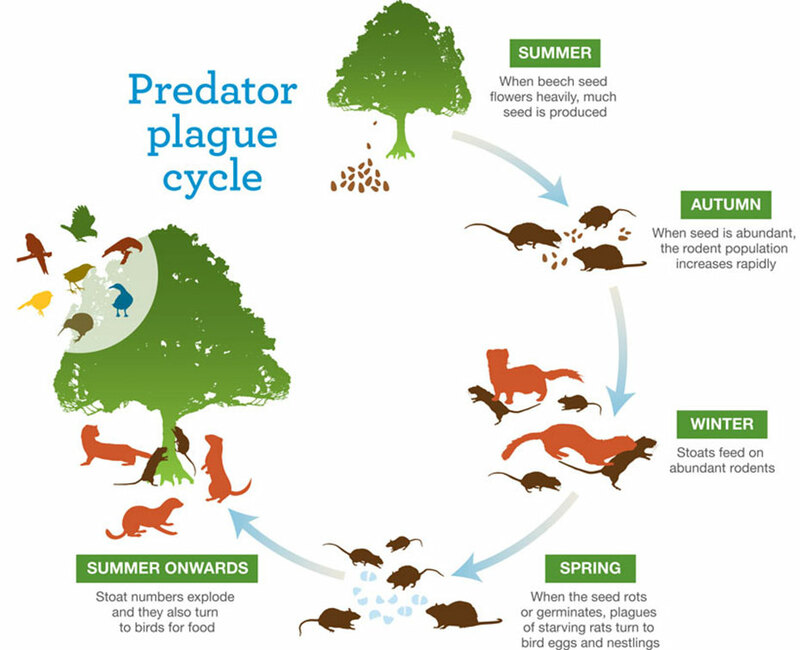 With probably fewer than 10,000 birds, the biggest threat to their survival are introduced mammalian predators, particularly the stoat, but also the brushtail possum. Kaka mainly breed in spring and summer, and nests are generally in tree cavities over 5 metres above the ground. In November 2017, a flock of six kaka were observed flying and calling over Motukiekie settlement. It is not known if they are resident. 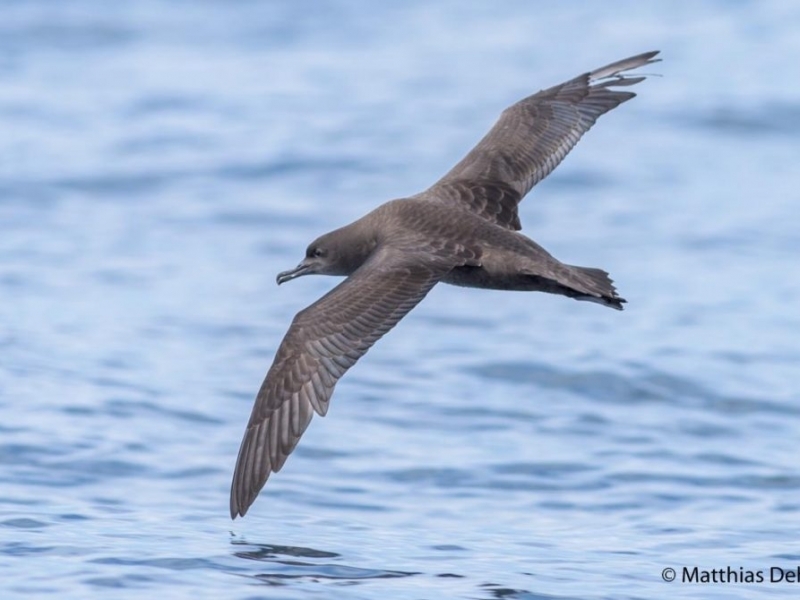 A small number of sooty shearwater have been seen and heard circling above the 12 Mile bluffs and trig station A8NK, after dark in early November. 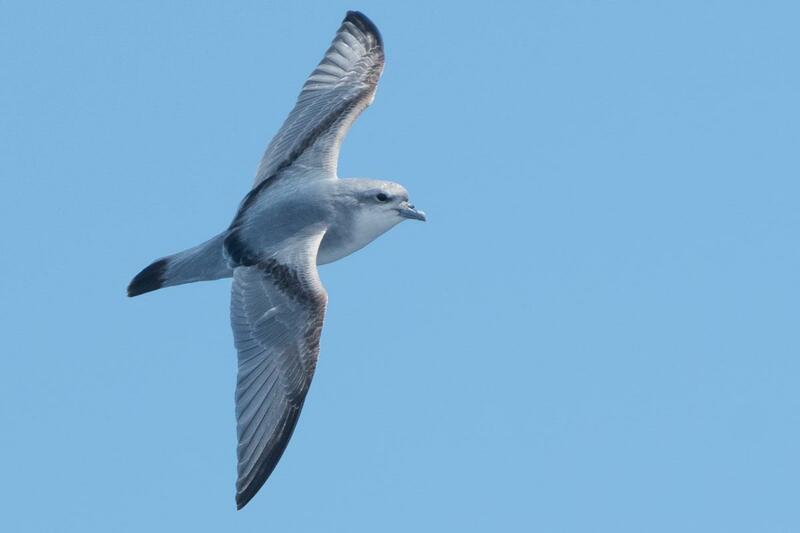 Their calls have been heard early morning, presumably flying overhead while heading to sea. Seabird calls were heard on the ground, and possibly burrow calls, during the day on Whiteman’s Terrace in early December 2017, indicating that a relict population may be nesting on the mainland. Historically, a colony of “seabirds” nested on the headland around trig station A8NK (locally known as “Starvation Point”), until they annoyed neighbours so much that the headland was burnt in the early 1940s. 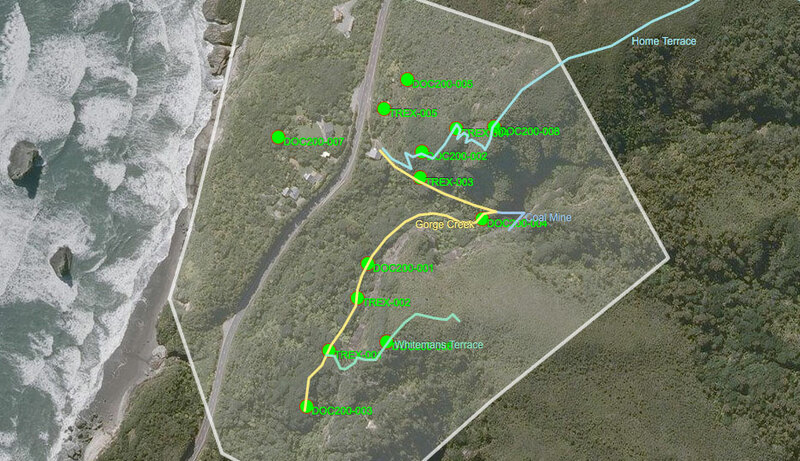 Historically, whio would have inhabited the Ten Mile Creek/Waianiwaniwa, a mountainous bush river flanking the eastern side of the Motukiekie Shakedown. 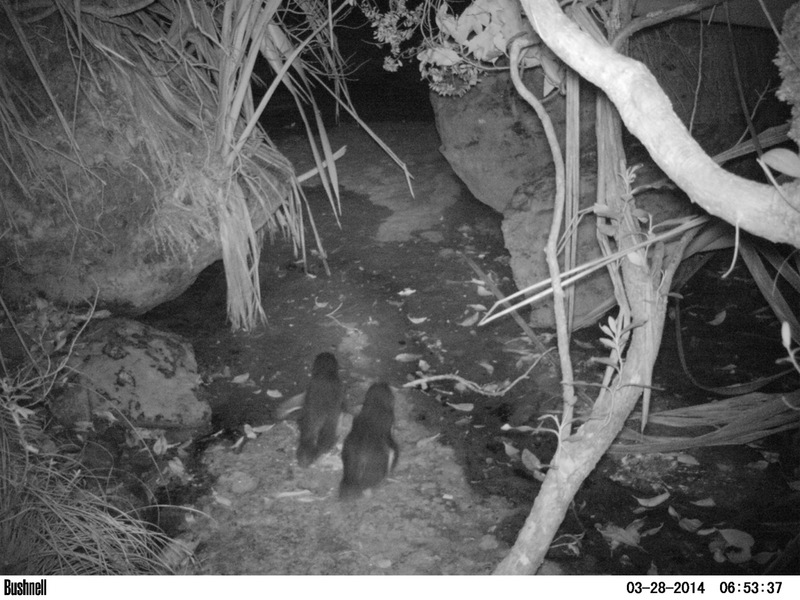 It’s not impossible that a population remains in the mid to upper reaches, or that whio from the eastern side of the Paparoa Range have immigrated into the Ten Mile, from the DOC/Paparoa Wildlife Trust whio program in the Moonlight Creek area. Requires further investigation. Bats are New Zealand’s only native land mammal and is ranked as Nationally Critical. Chestnut brown in colour, they have small ears and weigh 8-11 grams. They are believed to produce only one offspring each year. They can fly at 60kph and have a very large home range (100km²). An aerial insectivore, they feed on small moths, midges, mosquitoes and beetles along bush edges. Female long-tailed bats congregate in maternity roosting trees with their young during the summer breeding season. They usually move roost tree every night. Bats use dead and old trees with hollows and cavities to rest by day and breed in cavities in old-aged trees. They move to a new roost tree regularly so are not always present at a site, but may return later to reuse it. A social group can use over 100 different roosting trees. Acoustic recorders will be deployed to test for their presence during November each year. 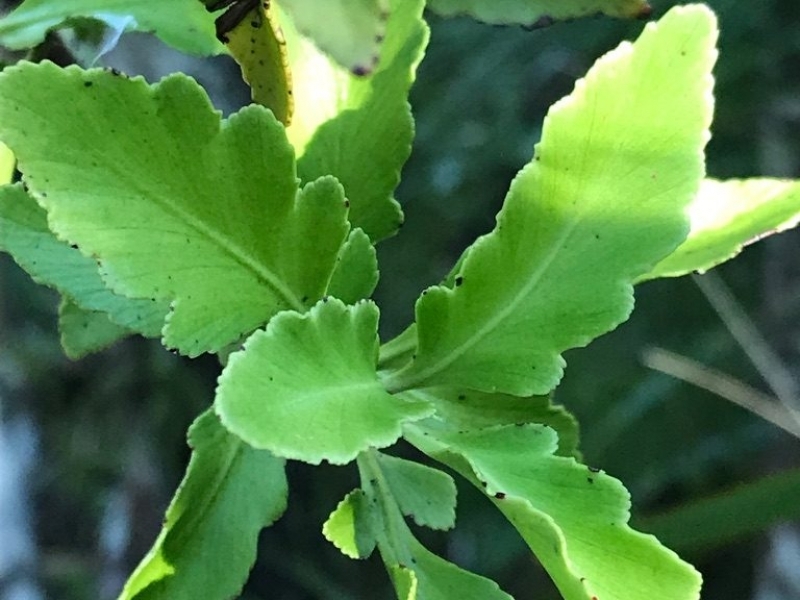 Celery pine (Phyllocladus alpinus), spider orchid (Singulary oblongus), northern rata (Metrosideros robusta) and southern rata (Metrosideros umbellate) and black beech (Fuscospora solandri). Small stands of black beech occur at Motukiekie, seemingly well outside its normal distribution range (Wardle 1969). At altitude, there are large areas of yellow silver pine (Lepidothamnus intermedius), and in the forest there are many orchid species, including spider orchid (Corybas sp). 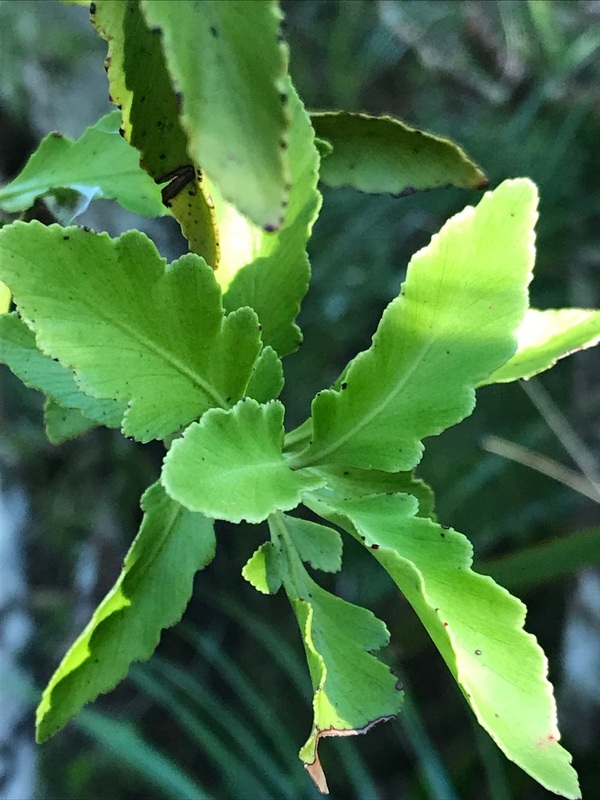 Red mistletoe (Peraxilla tetrapetala) has also been found which is classified as “At Risk – Declining”. 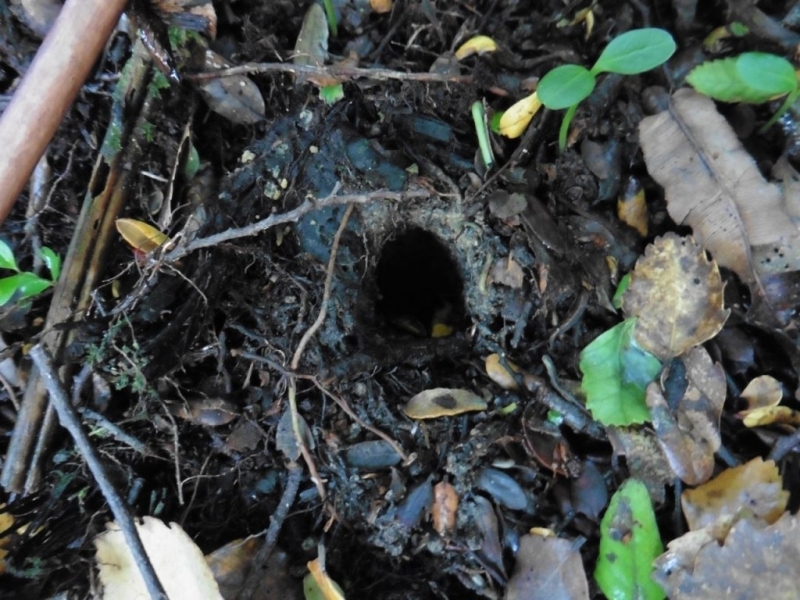 Pest weeds around the Motukiekie settlement include Elaeagnus, Wild ginger and bamboo. Ship rats (Rattus rattus), stoats (Mustela erminea) and possums (Trichosurus vulpecula) are the most significant predators present in Motukiekie, as well as the occasional feral cat. Ship rats probably travelled to New Zealand on board European ships in the 1800s; they then spread through the North Island sometime after 1860 and through the South Island after 1890 (Atkinson 1973). Historically, ship rats, Norway rats (Rattus norvegicus) and kiore (Rattus exulans) were all important predators of native wildlife; however, ship rats are currently by far the most widespread, common and significant of these three species of rat. They are also agile climbers and are ubiquitous in forests on mainland New Zealand, where they can reach plague numbers following beech (Lophozonia spp.) and rimu (Dacrydium cupressinum) mast events (Harper 2005; Innes 2005). As arboreal and omnivorous predators, ship rats prey on the eggs, nestlings and adults of native birds, as well as lizards, bats, frogs and land snails. Scarce in pure silver or mountain beech forest and very rare at high altitudes (above c.1000m asl). An agile and excellent climber, but a poor swimmer. Can spend considerable portions of time foraging up in trees. Gestation 21-23 days, the litter size averaging 5-6. The young are mobile after 1 month and completely independent and sexually mature after three months. 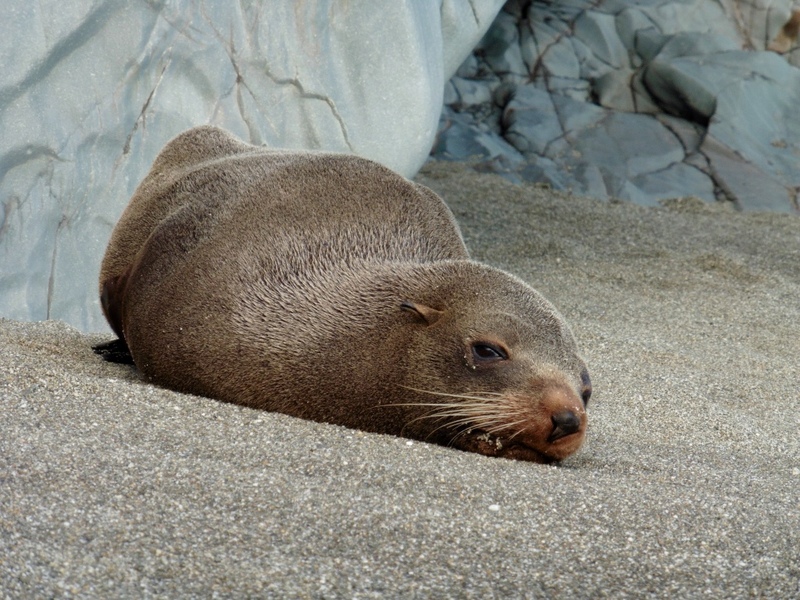 Females can produce three or more litters annually, in a breeding season which can be 6-7 months or longer. Mortality rate is high, with few rats (<10%) surviving more than one year. Home range is variable but usually between 0.5–4 ha (diameter of 100-200m) and densities can also vary widely but is on mainland sites usually 1–3 per hectare, though up to 6.2 per ha has been recorded. There can be substantial overlap in ranges of individuals within and between sexes. Stoats were introduced to New Zealand in 1884 to control rabbits (Oryctolagus cuniculus) (King & Murphy 2005), and are now ubiquitous in North and South Island forests and other habitats (Smith et al. 2007). Although stoats do not reach the same densities as ship rats, they are highly mobile with large home ranges (males often > 200 ha and females often > 100 ha) and, unlike ship rats, are obligate predators rather than generalist omnivores (King & Murphy 2005). They are also semi-arboreal and capable of killing prey many times their own weight. Stoats hunt at any time, day or night. Although home ranges overlap, particularly between sexes (Erlinge & Sandell 1986; Murphy & Dowding 1994; 1995; Alterio 1998), it appears that many individual stoats have separate core ranges that do not overlap (Murphy and Dowding 1995; Young 1999). A single litter is produced annually of up to 12 kits (mean 6–8), from late September (northern areas) to late October (cooler climes). Den sites are well hidden and changed frequently. Young are independent from early January. Nearly all females leaving their natal nest are already pregnant but delay development of the fertilised eggs until the following spring. They have excellent powers of dispersal and individual juveniles have been known to travel over 70km in two weeks. They are also strong swimmers, known to have crossed water gaps of up to 1.1km to reach islands. Main foods are rodents, birds, rabbits, hares, possums and insects, particularly weta. Lizards, freshwater crayfish, carrion, birds, eggs, hedgehogs and fish are also taken. Most stoats (>80%) live less than one year, but adult mortality is lower, and a few may reach 5–8 years of age. 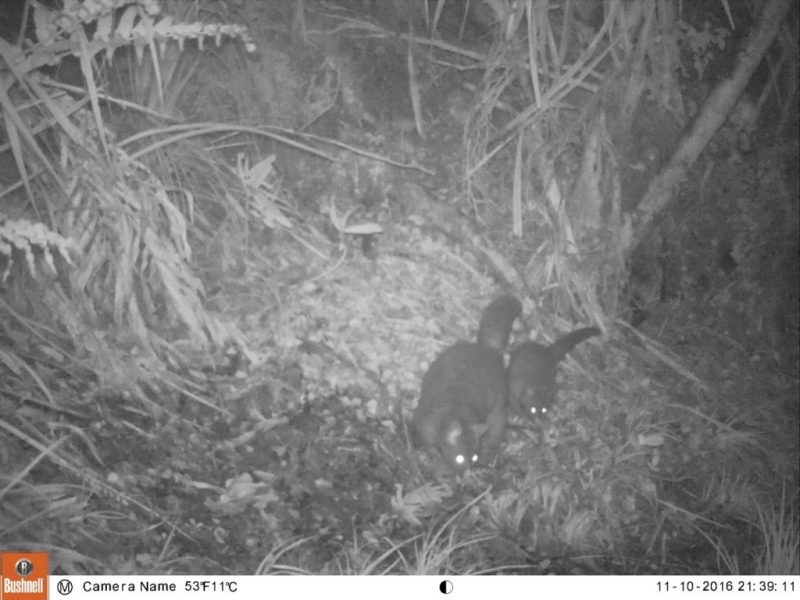 Stoat density on Resolution Island (20,800 ha) in Fiordland, was estimated to be 1.4 stoats per km². Alterio et al. (subm.) estimated absolute density of stoats in a South Island beech forest as 4.2 stoats km² (95% C. I., 2.9-7.7 stoats km²) for the summer period and 2.5 stoats km² (95% C. I., 2.1-3.5 stoats km²) for the winter period. 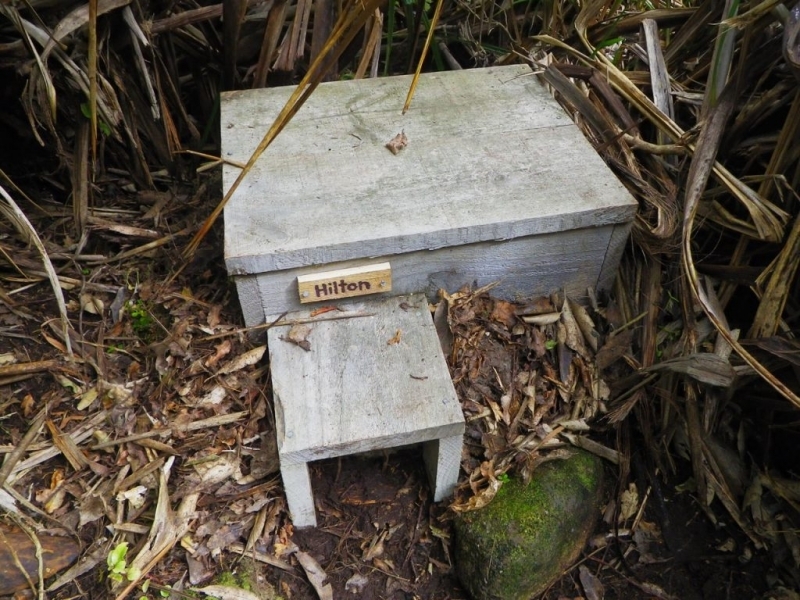 Original stoat density on Adele Island was about one per 9 ha before trapping was started. “Stoats are shy of tunnels and devices”. “A dying rat is irresistible to a stoat”. “It is large populations of rats and mice that determine the number of stoats in an area”. “Stoats can’t survive long without mammalian prey. Rats, mice, possums and rabbits provide the most meat in their diet. If you remove them, stoats will eat a lot of birds over the short term, but they can’t maintain a large population long-term only on birds.” (Prof Carolyn (Kim) King 2016). Brushtail possums were intentionally introduced to New Zealand to establish a fur trade and were successfully established by 1858 (Cowan 2005). 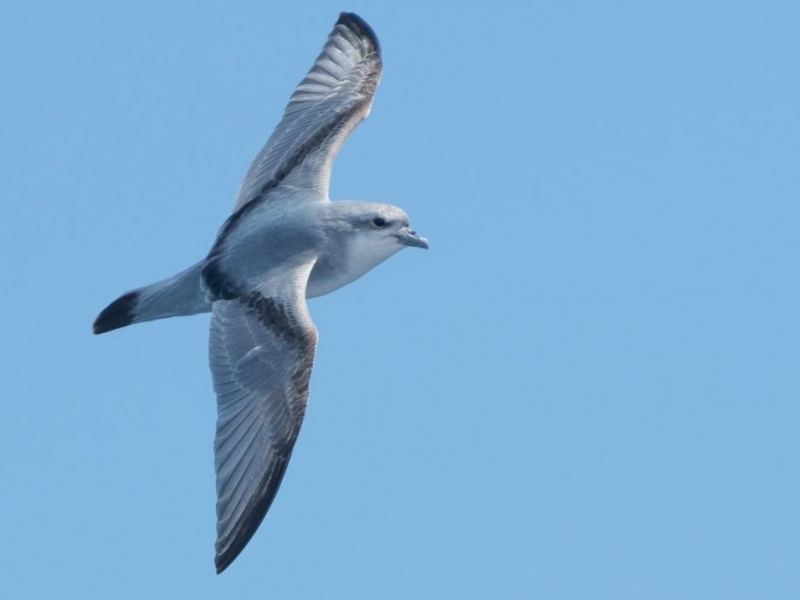 They now occur throughout the main islands, although they have only recently colonised Northland and south western Fiordland. Like ship rats, possums are ubiquitous in forests, are agile climbers and can reach high densities (eg. 10–12/ha) (Cowan 2005). Although possums are primarily herbivorous, they opportunistically prey on native wildlife (Brown et al. 1993; Innes 1995; Sadleir 2000) and evidence of the impact of such predation on native species has increased dramatically in the last two decades (O’Donnell 1995; Montague 2000). Tennyson & Martinson (2006) suggested that possums possibly contributed to the extinction of South Island kōkako. Stage One is a small-scale trapping program of about ~12 hectares primarily targeting stoats and rats, and occasionally possums. It was designed as a trial to test different traps and bait types, and see how labour-intensive a larger scale management project might be. DOC200 humane kill trap boxes (weka-proof) are intensively spaced at 100 meter intervals, interspaced with a TREX rat snap trap. The DOC200 traps are baited with a quartz rock replica egg, and a block of Erayz Dried Mustelid bait. TREX traps are baited with peanut butter, and more recently, Nutella as a trial. Although Racumin (1st generation anticoagulant) was initially used to target rats, there are now no chemical toxins used. 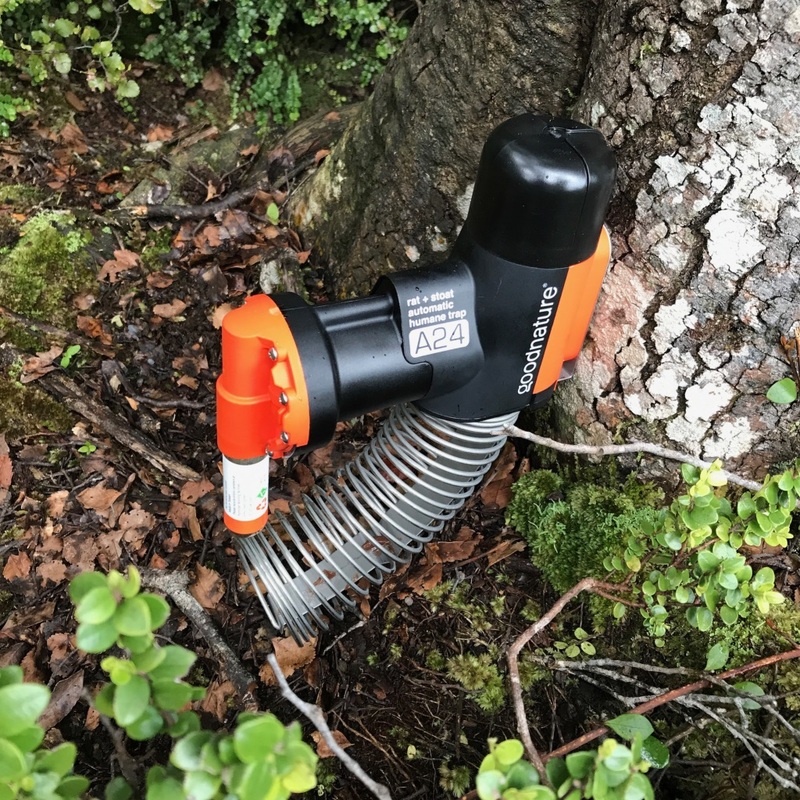 Timms possum kill traps are mounted high on tree branches, or on a length of board placed on an angle against a tree, to keep them out of reach of resident weka. Stage One was entirely self-funded to the cost of approximately $5,000 in materials, and 500 hours of labour ($12,500). 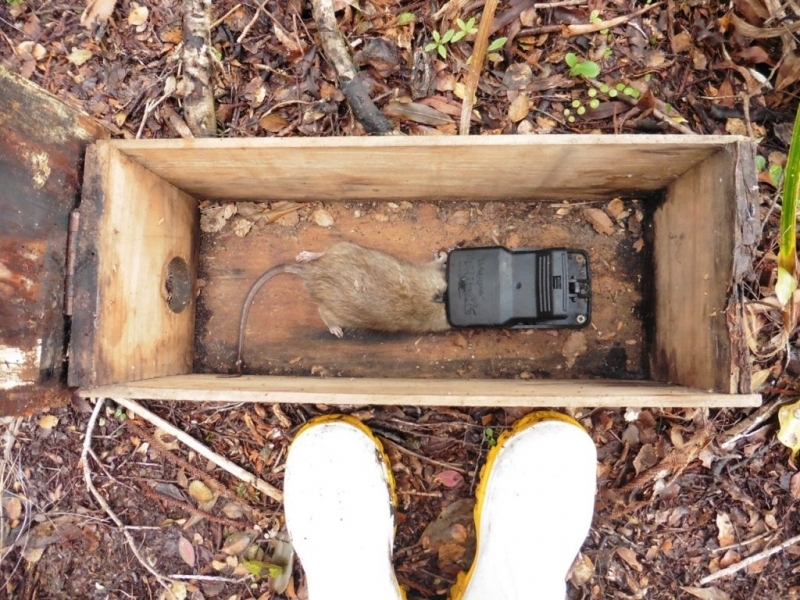 Rats – traps are placed in grids on tracks along 100 m contours at a spacing of 25–50 m to ensure that at least one trap occurs within each rat home range (refer to doc 2011a). 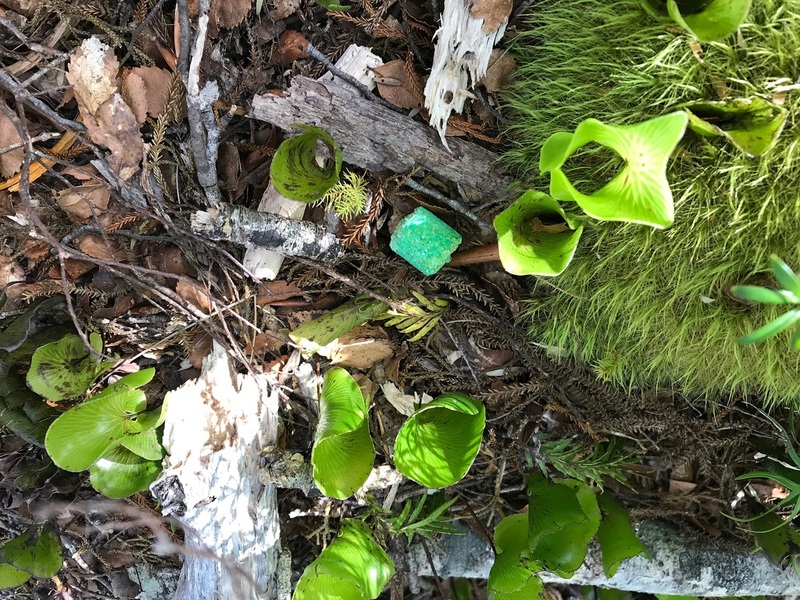 Peanut butter is the most commonly used bait in snap traps and long-life lures are being developed for use in self-setting traps. – one trap per hectare. 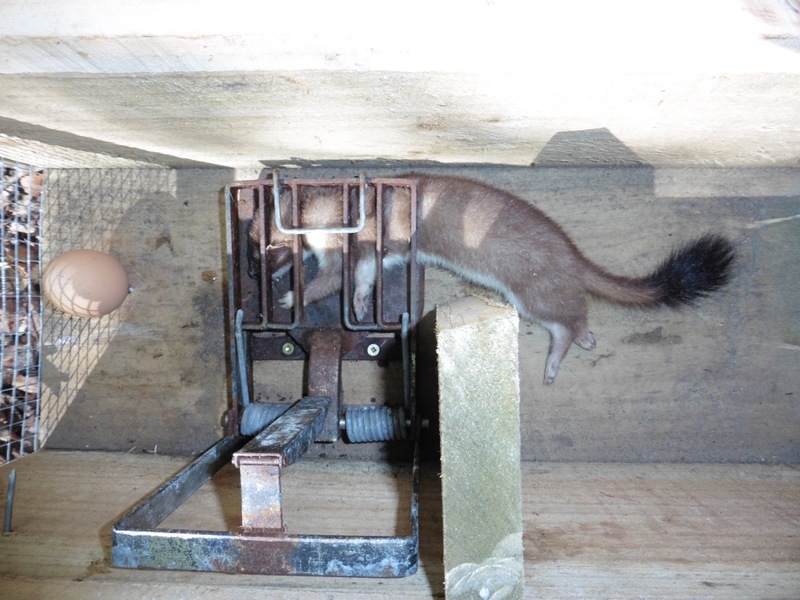 Stoats – traps are placed no more than 200 m apart on lines no more than 1 km apart, while making use of ridges, tracks, roads, contours and waterways (refer to doc 2013a). – one trap per six hectares. Possums – there is no DOC best practice for possum trapping, but the best practice for bait stations targeting possums recommends that they are placed no more than 150m apart, preferably on ridges and spurs, and along pasture boundaries (refer to doc 2011b). 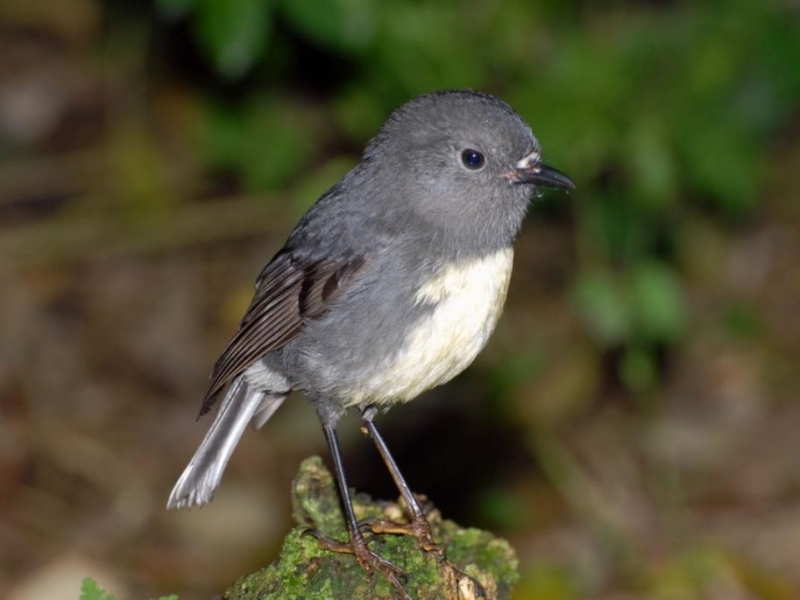 Birdlife has quickly returned to Motukiekie. It was interesting to witness the effects of predator management in such a small area (~12 hectares). Most noticeably, blackbird, fern bird, grey warbler and tomtit are now regularly being observed around the inhabited settlement, when in 2010 they were virtually absent. However, pest management within such a small area is extremely prone to predator re-invasion, particularly during a beech or podocarp mast. Trapping data over the last few years hasn’t shown a noticeable decline, indicating that the 12 hectare managed area is being continually re-invaded, and probably too small to be effectively protected. 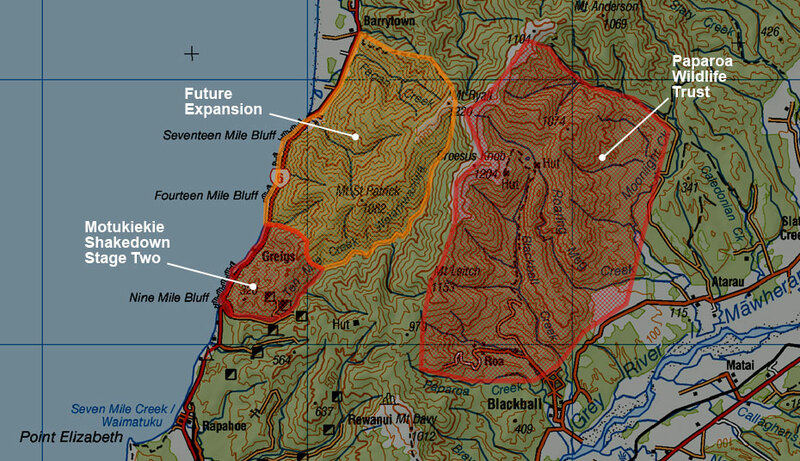 As time and funding allows, the Motukiekie Shakedown will continue to grow to protect a much larger area of ~780 hectares. Circles denote 200 Goodnature A24 traps at ~100 meter spacings on a landscape stoat trap network, fitted with weka excluders. There is already an extensive network of tracks, routes and old coalmine roads within the area, requiring minimal preparation for traplines. Some time will be invested in further track-cutting and upgrading, although it is planned to extensively mark the new traplines rather than cut them. 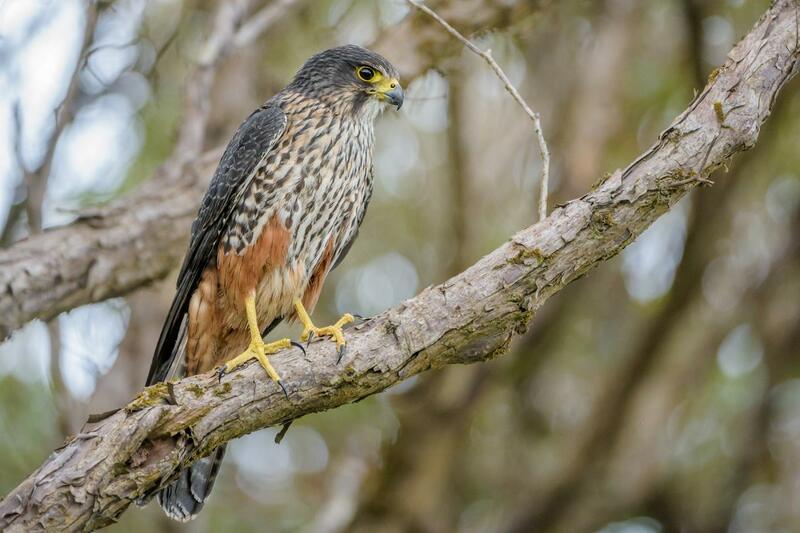 The Motukiekie Shakedown is registered with Predator Free NZ and uses a FileMaker Pro database and the trap.nz online tool to record trapping data. 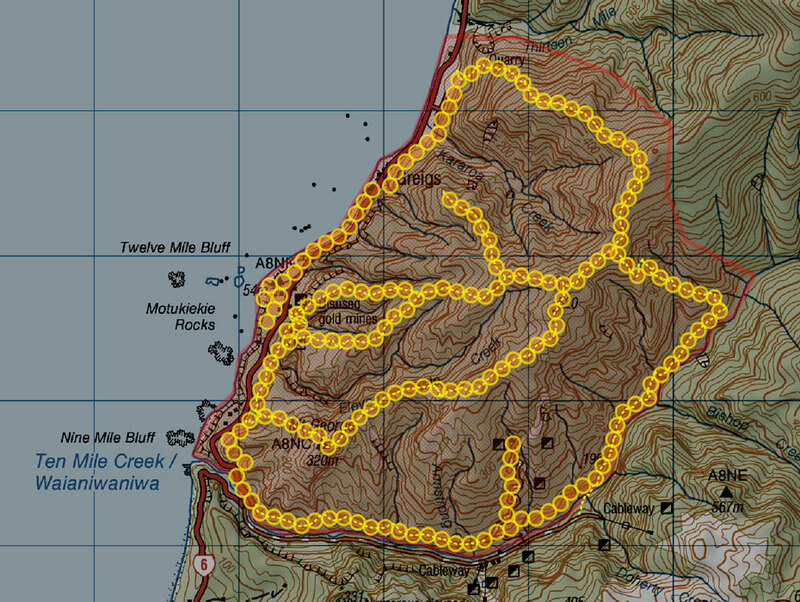 Google Earth Pro, Garmin Basecamp, and QGIS software is used to analyse and plan traplines, along with a handheld Garmin GPSmap 62s in the field. The A24 is a self-resetting multi-species kill trap. It is small, easy to install and resets itself after each humane kill up to 24 times per CO² canister. Goodnature traps kill instantly meaning no suffering and have been independently tested to meet the highest humane standards. With the invention of Goodnature traps, predator management over a large area with reduced labour and frequency of trap visits is a reality. 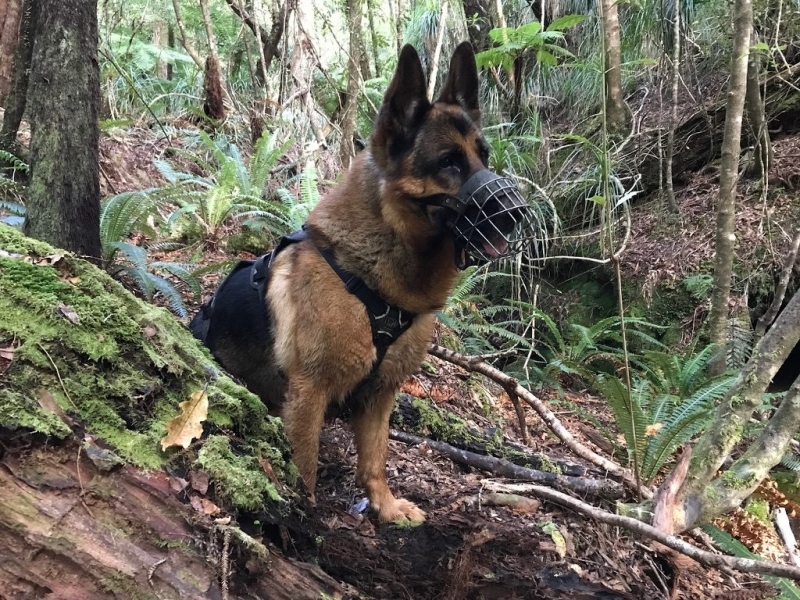 Traditional DOC200 box steel traps are bulky and heavy, and realistically require helicopter support to drop them into remote areas in a larger-scale predator management project. 30 Goodnature A24s will fit into a backpack, although I have found it’s more like 15 including weka excluders. 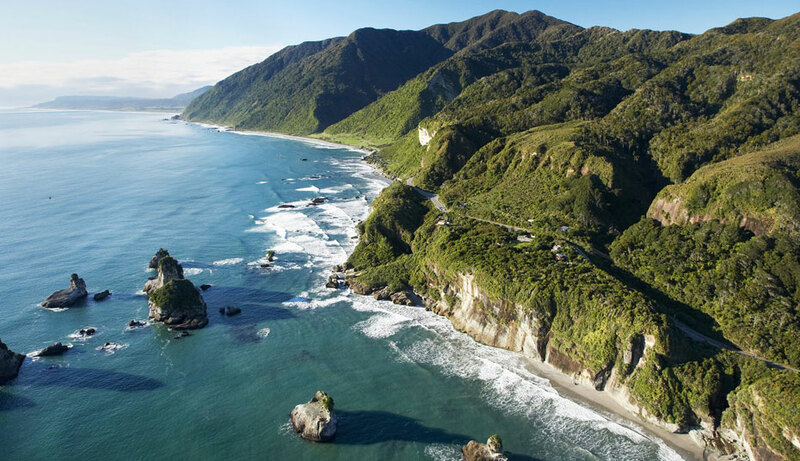 The south western flanks of the Paparoa Range, between Punakaiki and Dunollie (including Motukiekie), received a TBfree aerial 1080 drop in August 2017. This will suppress possum numbers for a number of years, and removes the requirement for targeting possums in the short term. There will be a small secondary effect on rat and stoat numbers, however their populations can bounce back reasonably quickly. October 2018 – 12 months after the aerial 1080 treatment, and there are considerably less stoats being caught and observed closer to the Motukiekie settlement. Because stoats and rats killed by Goodnature traps will be scavenged, accurate kill counts will be impossible to record. Trail cameras and other systems will be used to monitor the presence and distribution of predators. Bat monitoring to determine presence and distribution by deploying acoustic monitors around November each year. Bi-annual forest and nocturnal bird monitoring to determine presence and distribution by deploying acoustic monitors around June and December each year. 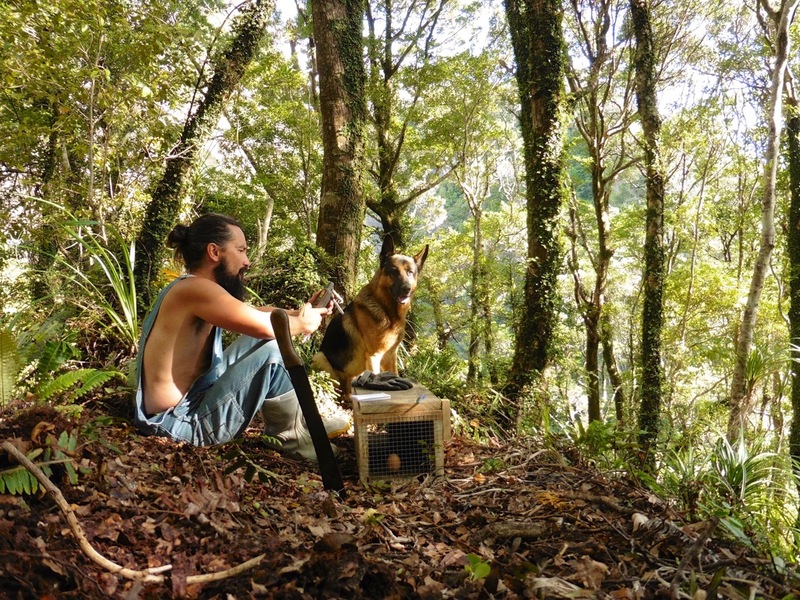 Future goals include growing the Motukiekie Shakedown to meet up with the predator management work being done by the Paparoa Wildlife Trust. 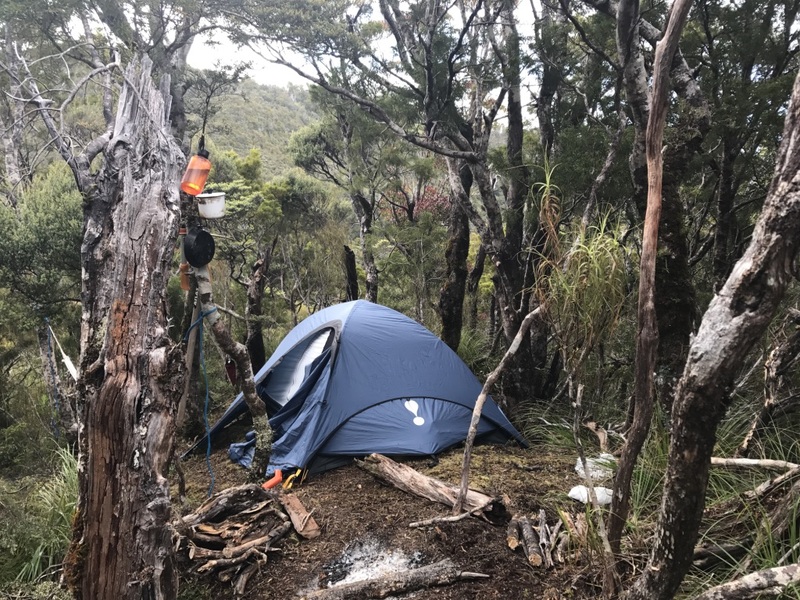 PWT is based in the hills behind Blackball, managing a large area on the eastern side of the Paparoa Range and specialises in great spotted kiwi management. Kerry Brown, Graeme Elliott, John Innes and Josh Kemp, Department of Conservation, Te Papa Atawhai. An overview of techniques, successes and challenges. 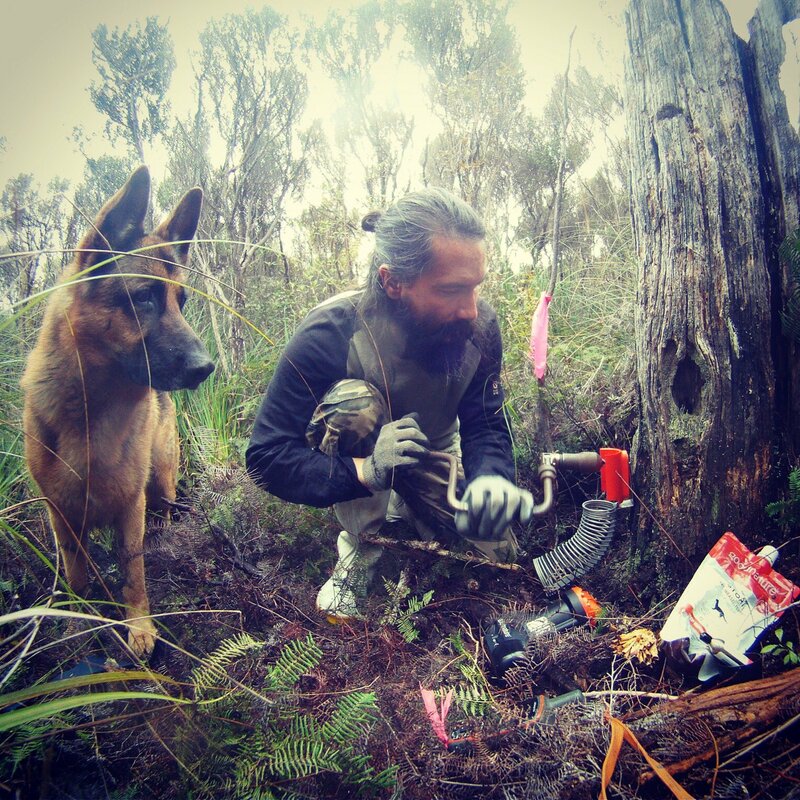 Predator Traps – Doc series trapping systems. Traps designed to assist conservationists with their protection of native species. Description, behaviour and life-cycle, ecological impacts, field sign. Kay Griffiths, University of Otago. A research report submitted in partial fulfilment of a Postgraduate Diploma in Wildlife Management. Department of Conservation, Te Papa Atawhai. Unpublished. Trap station layout, equipment, maintenance, lures. Moira Pryde, Peter Dilks & Ian Fraser (2005). 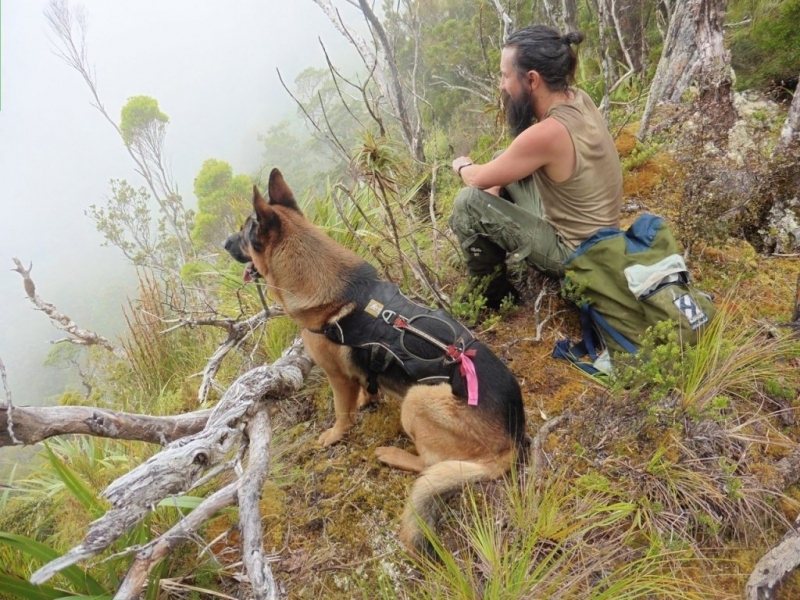 Special Issue Article: Tropical rat eradication. Craig Gillies and Dale Williams. Department of Conservation, Te Papa Atawhai. Using tracking tunnels to monitor rodents and mustelids. John McLennan and Tony McCann. Elliott speaks on the latest evidence for effective multi-pest management in southern New Zealand beech forest ecosystems. Home range size, travel distances, and population density of the great spo ed kiwi (Apteryx haastii) were investigated in the North Branch of the Hurunui River. 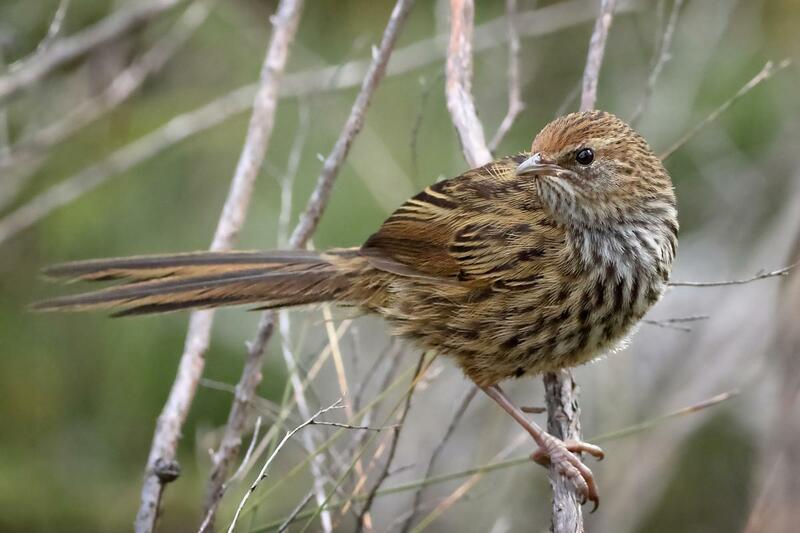 Kiwis for kiwi, in partnership with the Department of Conservation, aims to bring together all New Zealanders as to save our national bird. The distribution and relationship with other major forest and scrub species. Bats are New Zealand’s only native land mammals. Press release 22 March 2017. 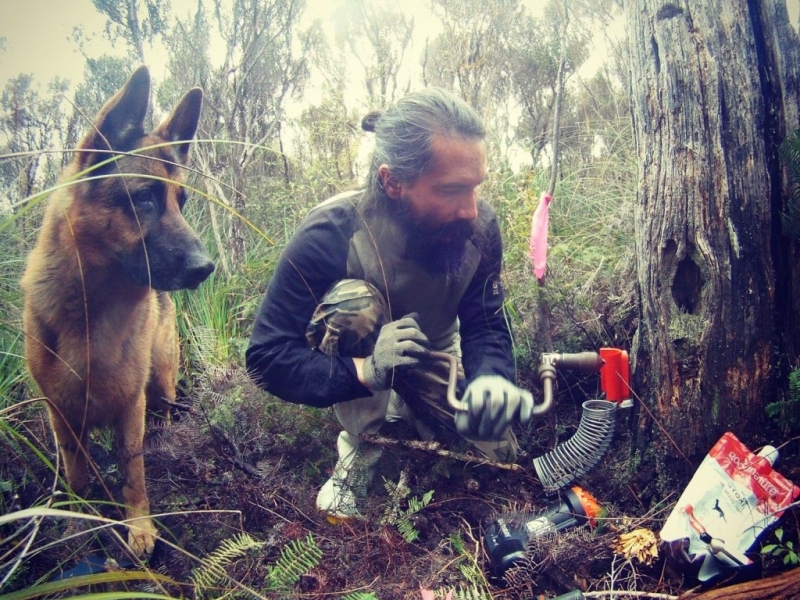 DOC and Goodnature have deployed a network of self-resetting stoat traps on Great Island in Fiordland. 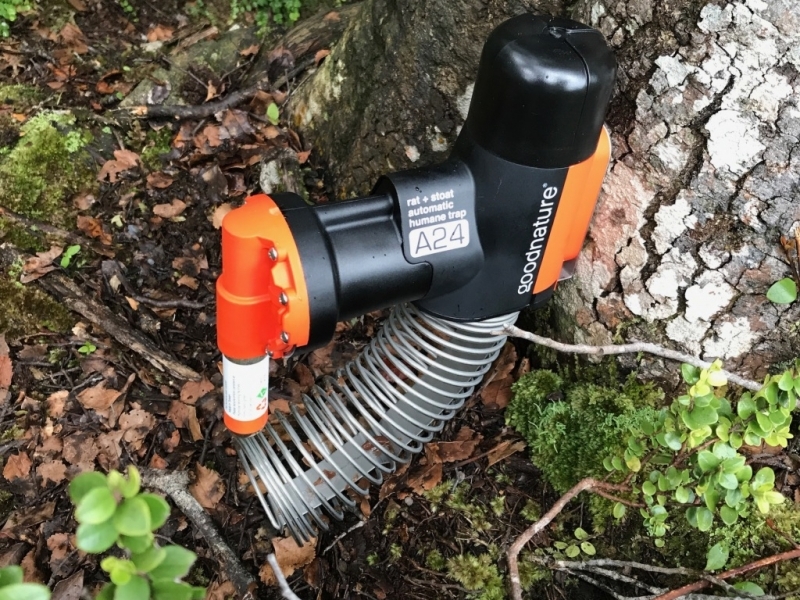 The Great Island stoat eradication project was established by DOC with the objective to remove and defend the island from stoats using Goodnature A24 resetting stoat traps. Written by Sean Barnett. A year spent in search of kiwi among the ranges of the West Coast. Kate Guthrie, Predator Free NZ. Des H. V. Smith and Kerry A. Weston.